I have always been obsessed with dreamcatchers. 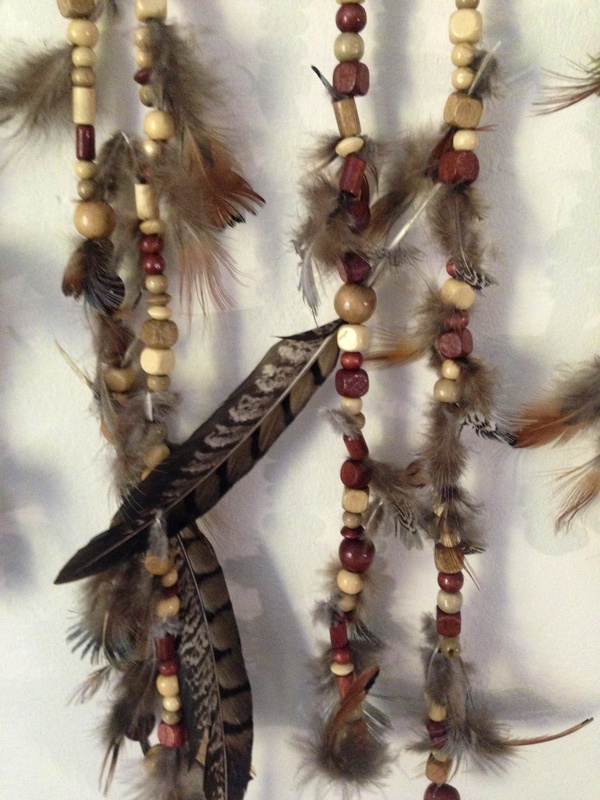 There is something so ethereal about their delicate form, wooden beads, and feathers. When I was seven, I got my first dreamcatcher at a Native American reservation in the Southwest. It hung from a necklace, its silver body looped with pink beads. 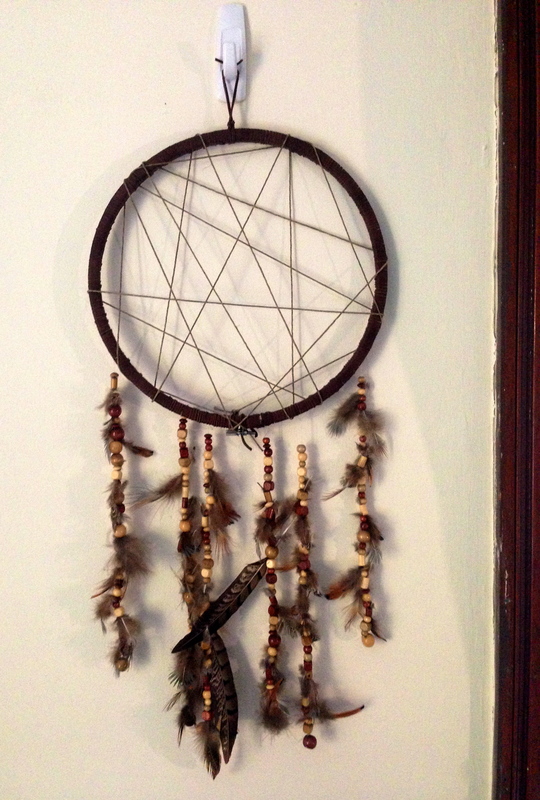 Here is the dreamcatcher I came up with! The diameter of the circle is approximately a foot, for reference. If you have ever looked online at dreamcatcher tutorials and gotten a headache, then look no further! 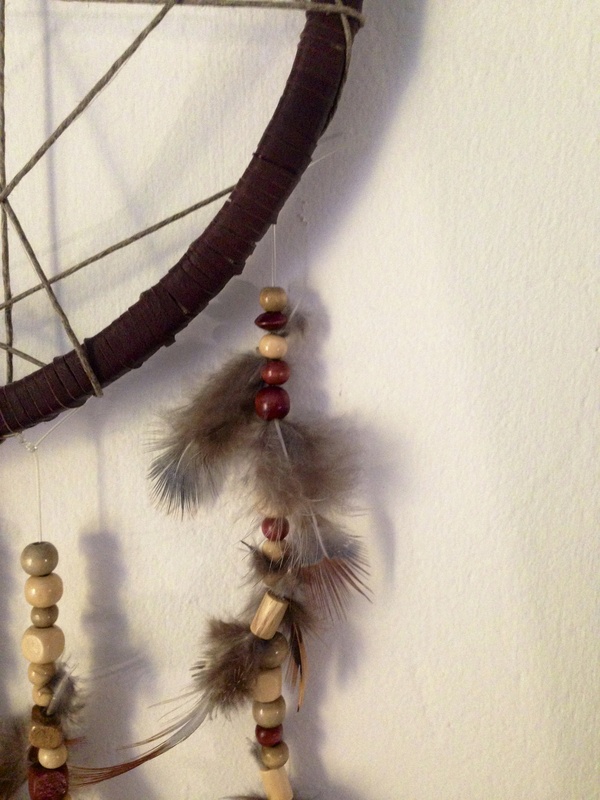 Here is your migraine-free Dreamcatcher tutorial!!! Step 1: SUPPLIES. Buy an embroidery hoop of whatever size you want the circle to be. You will also need wooden beads, feathers (I bought a pack of regular ones and three accent feathers), 1 cm leather string, hemp string, and elastic string. Step 2: Begin by tying one end of the leather string around the base of the circle, where you want the bottom to be. Then, slowly wrap the open end of the leather string tightly around the entire circle, careful not to let any wood show through as you go. This is lengthy. Put on music. I chose disco. Step 3: Once the entire hoop is covered in leather as shown above, tie the end of the string to the hoop. Step 5: Measure a length of elastic string as long as you want a string of beads/feathers to hang down beneath the circle. Now, add three inches to that length, and cut. Step 6: Choose a bead to be the bottom bead for that particular string. Quadruple-knot the string around this bottom bead. Step 8: Leave two inches at the top of your string to tie it to the hoop. I recommend you hang your longest string in the middle of the hoop, and make the strings shorter on either side. Tie the elastic tightly in your desired place on the hoop so that the knot is on the back side. From the front it should hang cleanly. Step 9: Repeat steps 5-8 for as many lengths of beads/feathers as you want. Some dreamcatchers have ten strings, others three. Mine felt perfect with six.